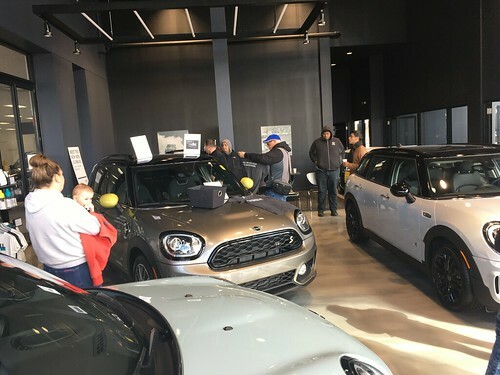 Our good friends at MINIUSA were able to arrange for a limited number of passes to attend the Chicago Auto Show media preview day on Friday February 9th. WRAPUP: A very snowy day kept the sparse crowds even quieter. All the better opportunity to get more 1 on 1 times with the cars and the rides. Huge thanks to MINIUSA for making these tickets available to our club! How to get a pass: Go to THIS LINK to request a ticket. In Mid-January, we will send out an email with a different link to the formal Auto Show registration form and you will be able to print out the ticket you need to enter the show. Highest priority for tickets goes to current club members. Meet and Greet: We are not planning on a format meetup, but stop by the MINI exhibit and you will likely run into someone ? Have never been. Threw my name into the hat. Would be cool to check it out. Media preview day is great because the crowds are much smaller. You are in, but the link to get your tickets will be sent out in a couple weeks. I Enjoyed this event last year, requested tickets once again. Thanks for getting it all set up, Steve! Sherri & I are in. Hands down the best way to see the show! Thank you again Steve for this opportunity. 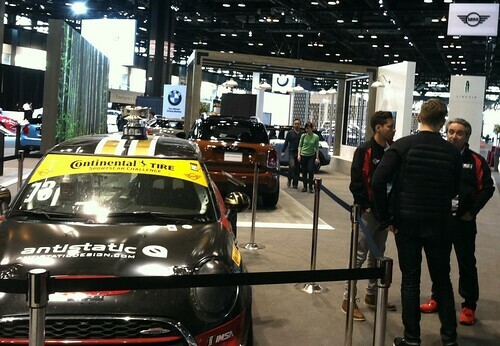 My friend has a Countryman and we love stopping by the MINI booth every year. Hopefully we can get passes through you again. This would be our 4th year under Media Day – and we love it – one on one with all the new cars and get to ask limited questions. Becky and I will be coming to. I’ve emailed you information twice now.. Thanks.. your email has been replied to with info on how to register.. See you at the Auto Show!! Nope, no tux needed. They kick everyone out of the Media preview day at 2pm and reset for the evening event. Please note: I have had a bunch of recent responses for tickets in the past 24 hours. I wont be able to send back the details till late tonight. I hit a mail sending limit yesterday and am in a “cool off” period. I haven’t seen any email for this – Did I register correctly? Looking now and still no email. Can you confirm where it was sent? I’m getting concerned! Just replied to the email you sent me.. (and it was the same email address).. Am I going to your spam box? Missed seeing you guys.. Ran into several club members while wandering around.